Sunday Brent and I decided to take the day for us. I wanted to spend time doing something different from our usual routine. So we visited Little Aussie Bakery. 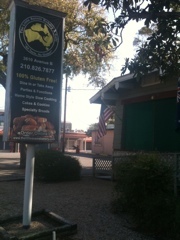 A Gluten Free bakery in downtown San Antonio. We like to visit new places and find those small businesses to support! Prior to entry they request you leave behind any glutenous products. 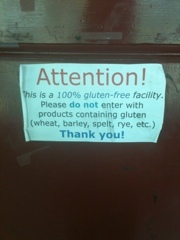 This is a courtesy for those who have allergies or intolerance to Gluten. A very thoughtful request. 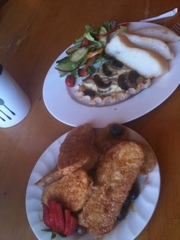 The food was yummy and healthy! We spent a ton but I don't feel guilty because it was for a great local place! If u ever come to SA, make sure you eat brunch at 'LAB'!! 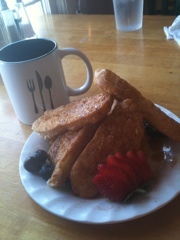 Try the french toast! !